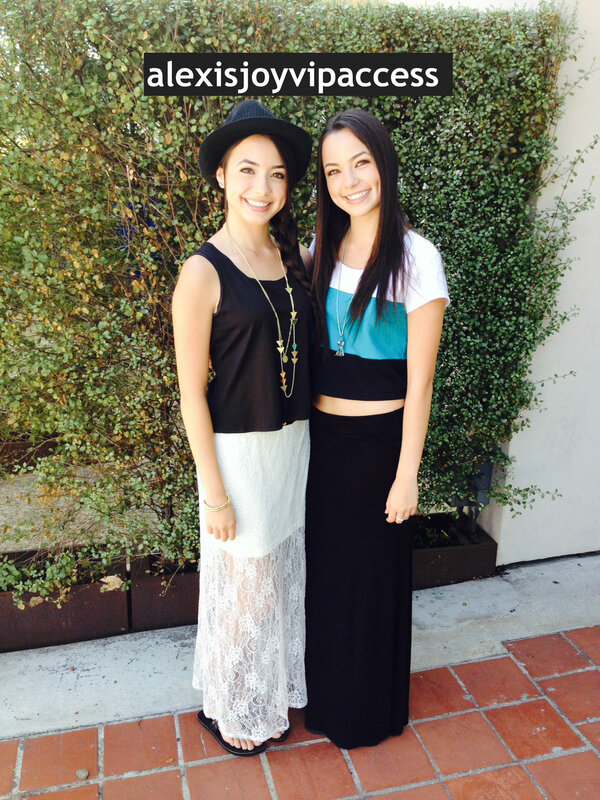 VIPAccessEXCLUSIVE: The Vivacious Merrell Twins Updated Interview With Alexisjoyvipaccess! An immense amount of things can happen within a month; and the phenomenal Merrell Twins justify that! In just a month’s time since our last VIPAccessEXCLUSIVE interview, the effervescent Vanessa and Veronica Merrell have continued to accomplish so much and have an endless amount of thrilling, upcoming projects that leave their fans absolutely mesmerized. From the United States to Canada, Europe, Asia, Africa and Australia – all around the world fans are in awe with the Merrell Twins’s spectacular vocals and ability of playing instruments. Not only have their fans recognized their one of a kind talent, but one of the world’s most inspiring figure – Mr. Ryan Seacrest has too! Just recently, the Merrell Twins’s outstanding cover of Ariana Grande’s song “Problem” was chosen to be apart of Ryan Seacrest’s cover contest. Keeping busy each day, the hard-working and dazzling Veronica and Vanessa Merrell have also been filming and sharing a variety of their stupendous videos. Each of their videos, whether it be their challenges, MT News segments or their new MT Cooking segment (which will have you hungry at the end of the video!) – the Merrell Twins’s videos have something special about them that make them stand out from others – maybe the fact that the videos are made from two very special and wonderful, young ladies! The Merrell Twins’s graceful and fun-loving personalities make them loved by anyone and everyone who gets the great chance of encountering these remarkable role models! I, Alexisjoyvipaccess had an incredible time interviewing the amazing Merrell Twins again in LA! With so many exciting projects coming up, the Merrell Twins dish exclusively all about it to Alexisjoyvipaccess! The Merrell Twins spill exclusively to Alexisjoyvipaccess all about their pre-show rituals before a performance, what inspired them to start their “MT Cooking Show” segment and so much more only in our VIPAccessEXCLUSIVE interview! Our VIPAccessEXCLUSIVE interview is the Merrell Twins’s first interview after filming for AwesomenessTV, so hear what they have to say about filming for AwesomenessTV and so much more only in our VIPAccessEXCLUSIVE interview! Thank you for another fantastic interview, Veronica and Vanessa! Check out my VIPAccessEXCLUSIVE interview with the one and only Vanessa and Veronica Merrell below! Previous Article: Jillian Rose Reed Rocks Flower Printed Attire And Looks Fabulous At The 3rd Annual BeautyCon! Next Article: Jillian Rose Reed Has An Excellent Time At The Dave & Buster’s Hollywood & Highland Grand Opening! Lovely ladies! You look like triplets !